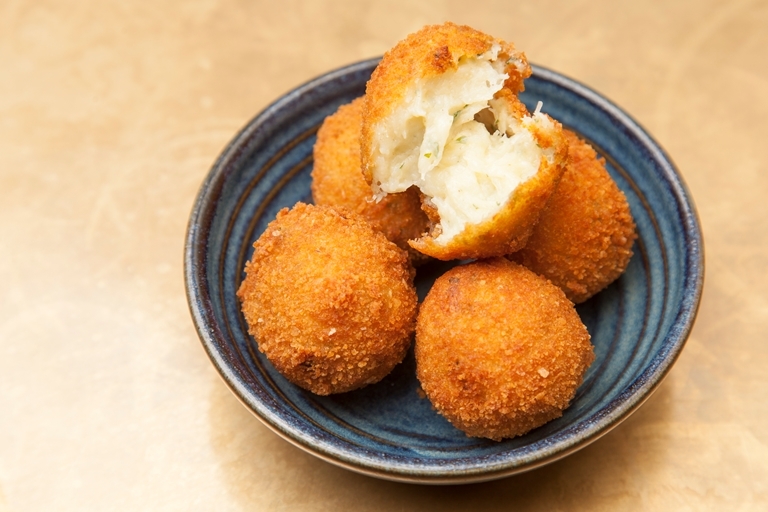 Meaning 'homemade croquettes', this authentic recipe from José Pizarro makes for a classic Spanish tapas dish. These are flavoured with delicate crab meat and softened leeks, but in José's restaurant, the fillings change regularly. The key is the juxtaposition of textures, from the rich, oozing filling to crisp, golden exterior.